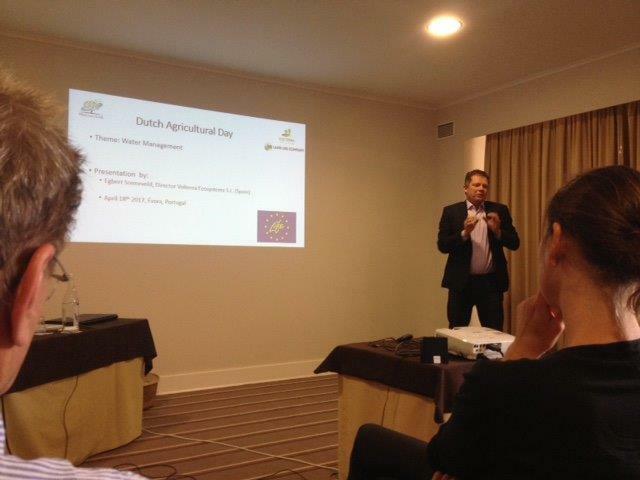 The association of Dutch farmers in Portugal organised its annual meeting on April 18th in Evora. Since the subject was ‘Water Management seminar’, Egbert Sonneveld from Volterra was invited to present the Cocoon, the Life The Green Link project and the Horizon 2020 FTI project about development of the Cocoon. The central questions of the farmers were what the first planting results are, when the Cocoon will be available on the market and at which conditions it will be sold. Egbert explained that the Cocoon is already available on the market but needs to be improved following the test plantations in Life The Green Link and the improvements studied in the FTI project. Several farmers indicated to be interested in repeating the trials of the Cocoon on their own land. Egbert invited them to follow us on the project web page. 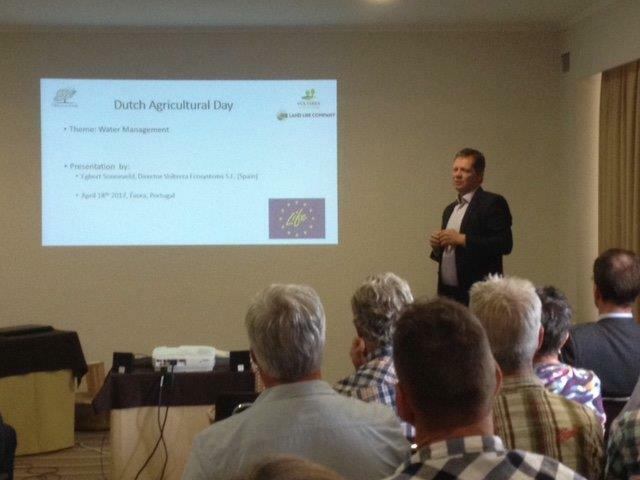 The association of Dutch farmers is looking forward to receive more information about the Cocoon and if possible they would like to replicate the trial on their own rainfed land.